More and more businesses are moving their solutions to the cloud because of its ability to reduce costs, scale, control choices and keep data more secure. 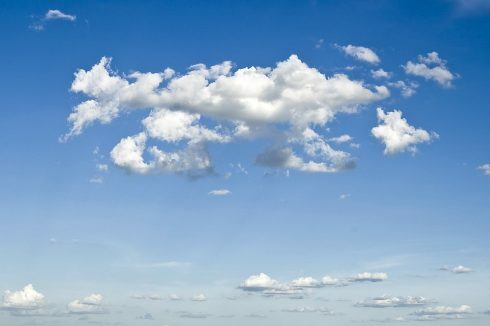 One of the biggest leaders in the cloud movement space has been Microsoft, which announced almost five years ago it would be moving more towards a “cloud first, mobile first world.” As part of this movement, the company launched Azure, its cloud service with more than 100 tools for developing and deploying solutions, creating intelligent apps and securing private data. “Microsoft Azure is an ever-expanding set of cloud services to help your organization meet your business challenges. It’s the freedom to build, manage, and deploy applications on a massive, global network using your favorite tools and frameworks,” the company writes on its Azure website. However, Microsoft’s move to the cloud is not only a company venture. There are many tool providers that rely on Microsoft, who now have to rethink their strategy to fit the cloud. SD Times talked with Patrick Hynds, CEO at DTS and longtime member of Microsoft’s Regional Director Partnership program, to see how Visual Studio (VS) tool providers are dealing with this change, and where their place is in the Microsoft cloud world. SD Times: How does Microsoft’s focus on Azure and cloud-first mentality impact VS tool providers? Hynds: I think that it offers some interesting challenges and tons of opportunity. The cloud is fast moving and that cries out with the need for better tooling. There are more niches being exposed every month where a tools provider can really carve out a world of their own. Are there any key benefits or downsides you see for VS tool providers when it comes to the cloud? They have to pick their spots well just like everyone else in the software development world. There are always going to be general-purpose tools that are similar across major vendors and those are the safe bets provided the platforms are stable relative to adoption, but it is the niche spaces that really can make a difference. As AI, containerization, speech processing and any number of other technologies emerge as cloud ready, vendors can step into the breach to figure out how they can do the heavy lifting in a way that enables the average developer to be a superhero. The downside is that they have to invest heavily to do it right and if they pick the wrong space it could be costly. Will there still be place for legacy VS tools as the industry undergoes a digital transformation? I think the answer is yes, because organizations are loathe to migrate away from technology that is still sufficient for their needs. There are examples of organizations sticking with technology like Windows XP well after it is prudent due to security and support concerns, but I know of organizations that are happily developing and supporting Winforms applications to this day. They are no longer a majority of course, but they still represent part of the market. The question is whether they are a big enough part of the market that vendors can afford to service them with updates. Where does things like WinForms, ASP.NET, etc. fit in a cloud world? So long as the cloud providers support them, they fit in just like PHP. I tend to like newer technologies because they tend to be better protected from the latest security threats, but so long as the .NET Framework is available these platforms will serve their role.